Do you stay up all night waiting for the latest patch to download? Do you get tired of watching the progress bar when you download a new game? Do you yell at your little sister every time she starts that new episode of Barbie’s Dream House on Netflix because it hogs all the bandwidth? You might have a need … a need for speed. Trying to decide what Internet speed you need is not always easy. There is no one-size-fits-all standard. Some people will get along just fine with a 3M connection, others can barely eek by with a 50M connection. It is all in how that connection is used. There are many things to take into account. So, I’ll walk you through some important factors to help you figure out what will work best for you. Your local ISP (Internet service provider) will offer you speeds with two numbers. One is the download speed, or how fast information comes from the Internet into your home, and the other number is the upload speed, or how fast information goes from your home out to the Internet. Almost always, you will have a faster download speed than upload speed. This is because you receive more information than you send. The only time upload speed really comes into play would be when you are doing large file transfers (uploads), interactive online gaming, or video chatting with someone. Figuring out what effect these devices have on your overall network and Internet usage is difficult. If everything is turned off, are the devices still using data? Your tablet might look like it is turned off, but in the background it could be downloading an update for its operating system — clogging your network and slowing everything down. What I am trying to get at here is this: open your eyes to all the devices on your network and understand that they could be leeching bandwidth from your online activities and causing lag spikes. 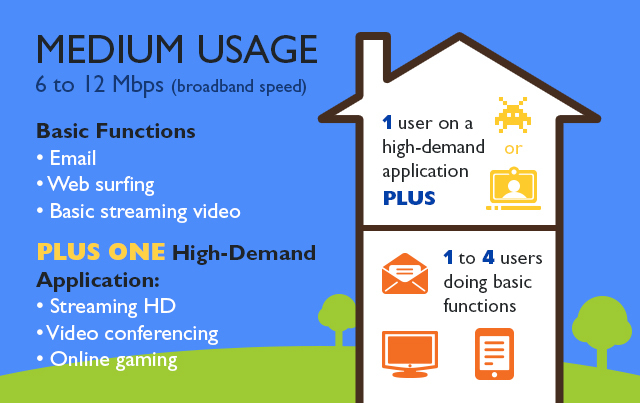 This can be alleviated by getting a faster speed from your ISP. What you — and others in your household — do online will also help you determine how fast of a connection you’ll need. You might also engage in more than one activity at a time. How many of us watch Youtube or Netflix or some other streaming service as entertainment while gaming? That new Daredevil Series on Netflix can take as much as 5M of your download speed on full HD! 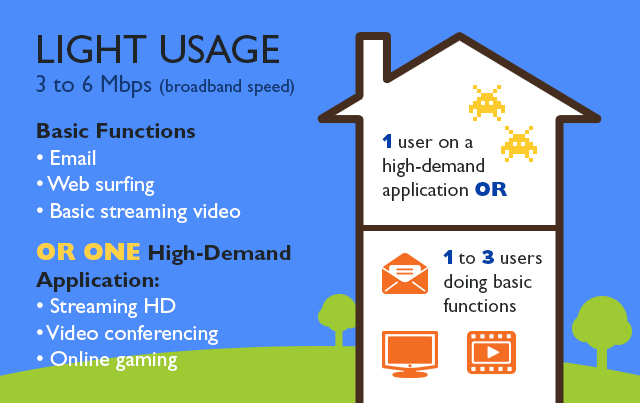 If there are multiple people in your house who are all doing multiple things online at the same time, that load can add up — better get a higher package! A good rule of thumb is to have 3-5M of download speed for every resident of the household. This is by no means a solid number because everyone is going to use the Internet a bit differently, but it is a place to start! For example, smaller households of casual Internet users who check email and visit websites won’t need faster speeds, while larger households with gamers, video watchers, remote workers and the like will need much faster speeds. 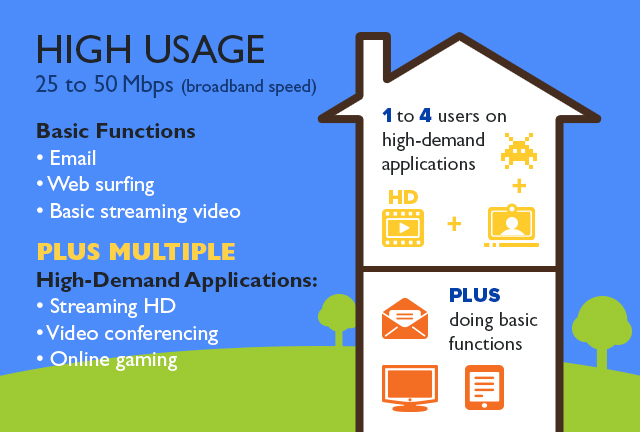 Now that we have gone over the basics, it is time to pick an Internet package that best fits your needs. Choosing smartly will have a lasting effect on your overall performance online in general web browsing and downloading files, as well as in gaming and streaming services. And if your speed turns out to be too slow, remember that what you pick today can nearly always be adjusted by calling your provider.